Top 6 of the most recommended tours in Cusco! KNOW THE BEST OF CUSCO BOOK YOUR CITY TOUR NOW! 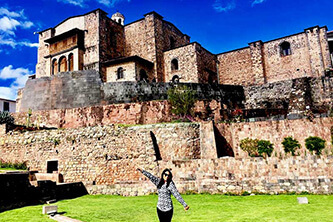 Did you know that Cusco is considered the Archaeological Capital of America? Yes, the ancient capital of the Incas is a place full of archaeological sites, museums, temples and more. Magical places such as the fortress of Sacsayhuaman, the temple of the Coricancha, the archaeological centers of Qenqo, Puca Pucara, Tambomachay, the Plaza de Armas and the Cathedral of Cusco. Tour guide in English or Spanish. I pick up from the door of your hotel. Easy payment with Visa, MasterCard or PayPal. Shuttle service throughout the tour. Cusco tourist ticket: Entrance to the Cathedral of Cuzco, Coricancha, Sacsayhuaman, Qenqo, Puca Pucara and Tambomachay. 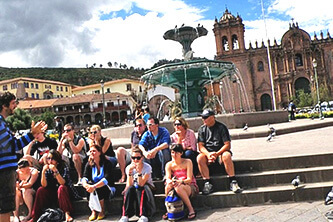 All the attractions of the city of Cusco are included in the City Tour. The All Included Service offers maximum security during the trip as well as tickets, transport and specialized guide. The trip allows you to visit: the Cathedral, Plaza de Armas, Coricancha, Sacsayhuaman, Qenqo, Tambomachay and Puca Pucara. The City Tour offers the entrance to all the tourist attractions of the city of Cusco: Qenqo, Puca Pucara, Tambomachay and Sacsayhuaman. 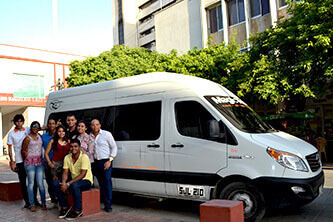 In addition, transportation service, tourist guide as well as the entrance to the Cathedral and the Plaza de Armas. All within a well organized and safe tour. Transportation is a large and comfortable minivan that will take tourists through the various archaeological sites of the city of Cusco. The tour guides are certified with English and Spanish proficiency. The guide will accompany you through all the archaeological sites of the city. 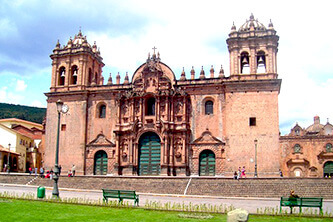 The Cathedral of Cusco is in front of the Plaza de Armas. It was built in 1654 on the temple of the god Wiracocha. 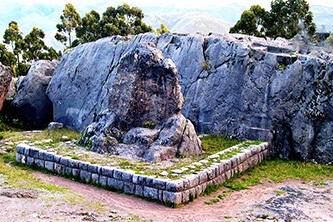 The Coricancha was the most important Inca temple. It was covered with gold. During the conquest the current Convent of Santo Domingo was built. 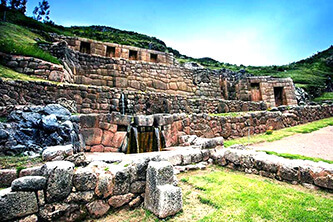 The archaeological sites of Qenqo, Puca Pucara and Tambomachay belong to the archaeological complex of Sacsayhuaman. Revenue is included in the tour. What is the archaeological complex of Sacsayhuaman? 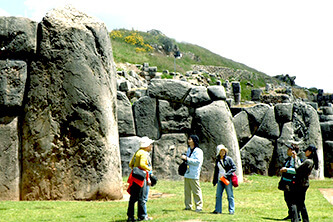 The archaeological complex of Sacsayhuaman includes the sites of Qenqo, Puca Pucara, Tambomachay and Sacsayhuaman. Admission to all these tourist attractions are included in the City Tour 'All Included Service'. The City Tour offers several benefits for tourists: it includes personalized assistance during the entire tour, pick up from the visitor from the door of your hotel and easy payment methods. In addition, the tour offers the option of private service. All organized by an agency authorized by the authorities of Peru. The City Tour 'All Included Service' is organized by Machu Picchu Terra, tourism agency authorized by the Ministry of Culture of Peru (authorization code AUT00115). If you have any questions about the City Tour, you can ask your questions before and during the service. The phone number is 084 - 403077. The City Tour begins with the pick up of the visitor from the door of his hotel in the city of Cusco. Paying the City Tour is easy and safe. You can do it instantly by Visa, MasterCard, Diners Club or PayPal. The payment becomes effective quickly. How much does the City Tour Cusco cost? 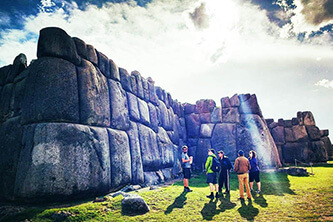 The City Tour Cusco offers several tourist attractions such as the archaeological sites of Coricancha, Sacsayhuaman, Qenqo, Puca Pucara and Tambomachay. 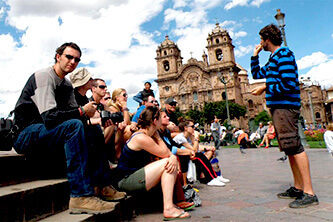 In addition visitors will appreciate the Cathedral and the Plaza de Armas of Cusco. Its stone buildings have an even greater perfection to Machu Picchu. The Convent of Santo Domingo was built on the Inca walls. The construction of this archaeological site took almost 100 years. It is one of the most impressive constructions of modern Cusco. Sacsayhuaman has Inca walls up to 13 meters high and 22 meters in diameter. The Spaniards believed that the site was the work of the devil. An Inca ceremonial center whose buildings still surprise visitors. There it is possible to appreciate some constructions in labyrinthine form. One of the most mysterious Inca archaeological sites. Inside, there are buildings, of which the most important are its 'chincanas' or tunnels. One of the most beautiful archaeological sites. Its Inca buildings pay homage to water. Until today, the liquid continues to flow. Why is the city of Cusco the 'Archaeological Capital of America'? The city of Cusco is the ancient capital of the Inca Empire. There incredible temples were built like Sacsayhuaman or the Coricancha. The importance of Cusco was such that the Incas considered it the 'Navel of the world'. The City Tour starts at the door of your hotel. 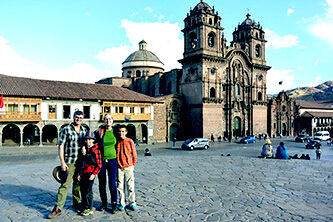 The minivan will pick you up at 1.30 p.m. to go to the Plaza de Armas and Cusco Cathedral. Together with the tour guide you will discover the mysteries of this enigmatic site. Then you will go to the Coricancha, the most important Inca temple. Finally, you will visit the archaeological complex of Sacsayhuaman (Qenqo, Puca Pucara, Tambomachay and Sacsayhuaman) before returning to the city. 1.30 p.m. - 2. p.m.
We pick you up at the door of your hotel. Then we go to the Plaza de Armas of Cusco where our guide will explain the historical importance of this place. 2 p.m. - 2.30 p.m.
Next we will visit the Cathedral of Cuzco, one of the most imposing and historical of South America. 2.30 p.m. - 3.30 p.m.
We continue with the tour, visiting the Inca museum of the Coricancha (Convent of Santo Domingo). The guide will explain the importance of this enclosure, the most important of the incantation. 3.30 p.m. - 5 p.m. The tour continues in the direction of the Sacsayhuaman fortress. The guide will give us details of the mysterious constructions as well as the historical events that took place there. 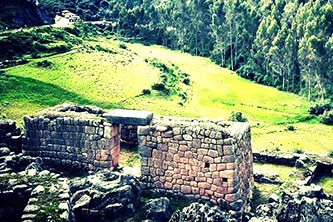 After visiting Sacsayhuaman, we will do the same with the enclosures of Qenqo, Puca Pucara and Tambomachay, from where you can see from the top all the splendor of Cusco. 6 p.m. - 6.30 p.m.
We will finish the tour returning with private transportation to Plaza San Francisco, a few meters from the Plaza de Armas of Cusco. The city of Cusco is located in southern Peru, at 3,399 meters above sea level. 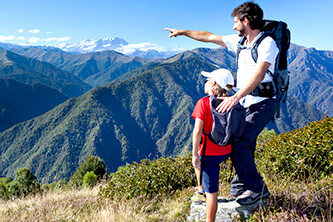 At that altitude it is common for visitors to suffer from the so-called 'altitude sickness'. Know this and other important information for the City Tour. Altitude sickness causes fatigue, dizziness and even vomiting. It is recommended to adapt to the climate of Cusco 1 day before doing the City Tour. What to take to the City Tour? To combat the sun (and possible rains) it is recommended to bring a hat, sunscreen, sunglasses, rain poncho, hiking shoes, snacks and mineral water. The schedules during the City Tour are flexible. The visitor can enjoy a few more minutes taking pictures in the places of their preference. The City Tour allows a group of maximum 20 visitors. With the private service you can make the tour from 2 tourists. 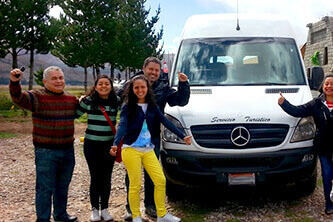 The City Tour in 'Private service' is a good alternative for groups of friends or a family that wishes a more personal visit to the city of Cusco. The transport and the tour guide are private. This service is optional. The tourist will be received at the door of his hotel. In the end, the visitor will finish the tour in the same place. The minivan will be destined only for the group of tourists who chose the private group. The tourist guide will be more dynamic due to the small group of tourists in a single group. The City Tour in private service can be booked with 2 or more tourists. The City Tour in private service is optional. To request it you must send an email to info@boletomachupicchu.com. The city of Cusco has a dry and cold climate. During April to October the dry season takes place, where the days are sunniest and the nights are cold. During November to March, the rainy season where fluvial rainfall is common. The temperature varies from 0º to 24ºC. Any questions about the City Tour in 'All Included Service'? Solve your doubts by sending your question to info@boletomachupicchu.com. 1) What is the difference between the City Tour in shared and private service? The City Tour Cusco in shared service includes transportation and guide for a group of diverse people (up to 20 tourists). The private service, on the other hand, is a special service for a closed group of 2 or more visitors. 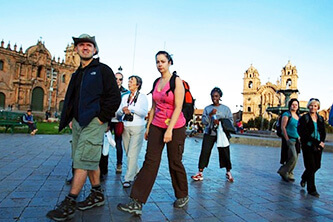 4) How to avoid altitude sickness during the City Tour Cusco? It is advisable to adapt to the climate of the city of Cusco at least 1 day before making the City Tour Cusco. It is also advisable to drink plenty of water such as coca tea. 2) How is the payment made? To make the payment of the tour you must complete the reservation form on our web platform. Then you must make the payment with Visa, MasterCard or PayPal. To separate the reservation you must cancel at least 60% of the value of the tour. Once in Cusco you must finish making the payment. 5) How to book the tour with a tour guide in another language? The tour includes a shared or private tour guide in English or Spanish. To book a guide in another language you must request one by sending an email and paying the extra cost of the service. 3) What to bring the City Tour Cusco? For the City Tour Cusco you should bring a sunscreen, a hat, comfortable shoes, rain poncho, snacks, mineral water and extra cash (if the tourist likes to buy handicrafts).